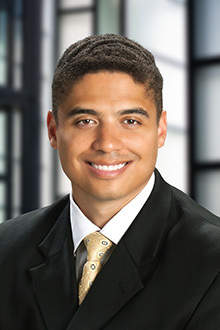 David Shannon is the Chair of the Business Aviation Practice and a Partner in the New York and Fort Lauderdale offices. Mr. Shannon’s Business Aviation expertise involves structuring the purchase and sale of large long-range business jets and helicopters for Fortune 500 companies, large international corporations, ultra-high net-worth clients, and family offices. He is an industry recognized resource regarding the federal tax requirements for obtaining the Bonus Depreciation deduction. Additionally, Mr. Shannon has negotiated complex finance documents with leading global banks and also successfully represented clients regarding multi-million-dollar sales tax liability matters. As a member of the Corporate Practice, Mr. Shannon has a record of achievement in a wide variety of corporate transactions including: mergers and acquisitions (M&A), corporate restructurings, banking and finance, securities regulation, and federal, state and local taxation. Finally, Mr. Shannon serves as a technical resource analyzing corporate entities related to business planning strategies, reviewing estate and gift tax issues, and providing legal and accounting advice to ultra-high net-worth clients and their advisors. “California, New York, and Florida: An In-depth Sales and Use Tax Update,” Co-author, World Aircraft Sales Magazine, Volume 13, Issue 10, October 2009. “A General Aviation Security Update,” World Aircraft Sales Magazine, Volume 13, Issue 9, September 2009. “Selling an Aircraft Position,” Co-author, World Aircraft Sales Magazine, Volume 13, Issue 6, June 2009. “Put a Little Love in Your Heart: Maximizing Your Aircraft Charitable Deductions,” World Aircraft Sales Magazine, Volume 12, Issue 1, January 2008.